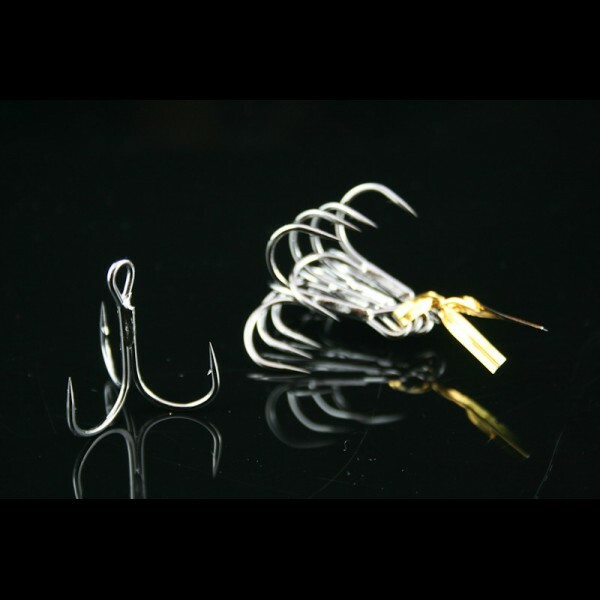 The ultimate hook for the pike angler-if you are looking for the very best in penetration and strength in a medium gauge wire, this is the hook for you. Once tried, you don't want to use anything else. Available in anti-rust gunmetal black. Package contains 5 Trebles. Recommended for Lucky Perch & Esox Blade.